On June 3, the Department of Youth Services (DYS) dedicated the new treatment facility for girls in honor of former DYS Executive Director J. Walter Wood Jr. Wood was the longest serving state juvenile corrections executive in the United States when he retired on June 30, 2014. 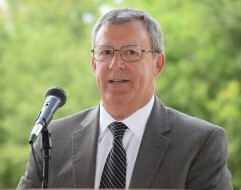 During his tenure as executive director of DYS, Wood implemented a number of juvenile justice reforms and improved treatment options for young offenders. “Alabama was fortunate to have someone of Walter Wood’s experience and vision to lead the Department of Youth Services through system reform measures brought about with the Alabama Juvenile Justice Act of 2008,” said Steve Lafreniere, executive director of DYS. 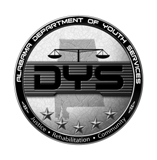 The facility houses up to twenty-four young women who are committed to DYS custody. The facility’s design is intended to be more conducive to treatment and rehabilitation, which is the philosophy embraced and championed by Wood. The facility is comprised of a 16,000 square foot dorm and 11,000-square-foot education building with offices and classrooms. The facility includes smart boards for the classrooms, a library, recreational areas, an enclosed courtyard, and a safe area for severe weather events. “This facility is a reflection of Mr. Wood’s leadership of the Department. 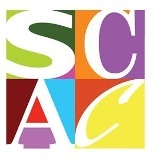 It is innovative in both its design and functionality and creates an environment that will allow youth to achieve positive outcomes in their lives,” said Allen Peaton, special assistant to the director of DYS. Speakers at the dedication included Lafreniere; Charles Smith, Chairman of the DYS Board; Marcia Calender, Deputy Director of Programs & Client Services for DYS; and Peaton. Wood offered special remarks.